Rotamec have a dedicated pump team that service the South East and South West from each of its service centres. We are able to supply and service pumps from some of the biggest names in the industry such as Xylem Grundfos, TT Pumps, Pedrolla, Ebara, Calpeda , Busch, Elmo Rietschle, and Gardner Denver. We offer mechanical seals, repair kits and bearings to repair your pump or we offer a 24/7 Pump Breakdown Service to ensure minimum down time. Our clients range from Water Authorities, Food & Beverage Manufacturers, Quarries, Manufacturing, Universities, Facilities Management, Industrial, and Domestic Customers. We offer an all-encompassing service from pump removal, pump repair and pump installation. 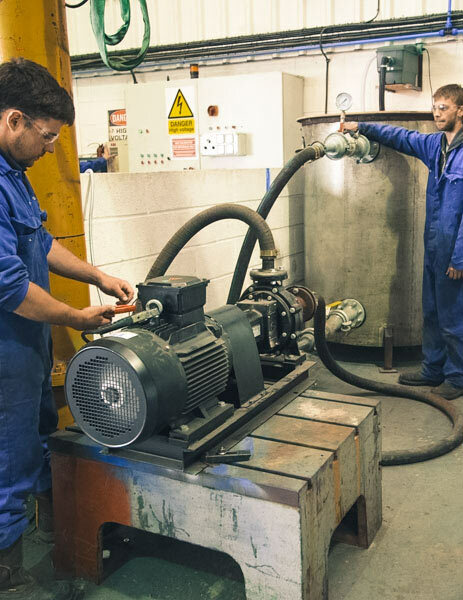 Rotamec’s Pump Services team maintain, service and repair many types of pumps including Submersible Pumps, Sewage Pumps, Air Pumps, Booster Pumps, Circulation Pumps, Industrial Heating Pumps, and Industrial Pumps. 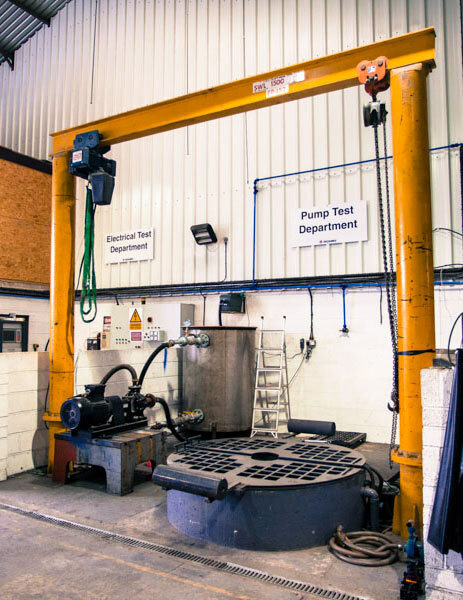 To ensure that your pump is repaired to the OEM’s original performance Rotamec’s pump test facilities include a cutting edge high capacity test rig and submersible soak tank. Our experienced pump sales team are able to offer onsite advice ensuring the best solution is found for your pumping requirements. The recently installed high capacity pump test rig enables Rotamec’s engineers to test a pump’s flow rates and pressures and to compare them against the manufacturers’ specifications. This ensures that a repaired pump is performing correctly so time and money are not wasted having to uninstall it for a second time. Rotamec are also able to analyse oil samples as part of the wide-ranging diagnostic processes to aid customer’s PPM. Call our pump team today to discuss your requirement on 01934 743165. Covering Bristol, Bath, Wiltshire, Somerset, South Wales, West Midlands , Exeter, Devon and Cornwall, Southampton, Portsmouth and Surrounding areas.